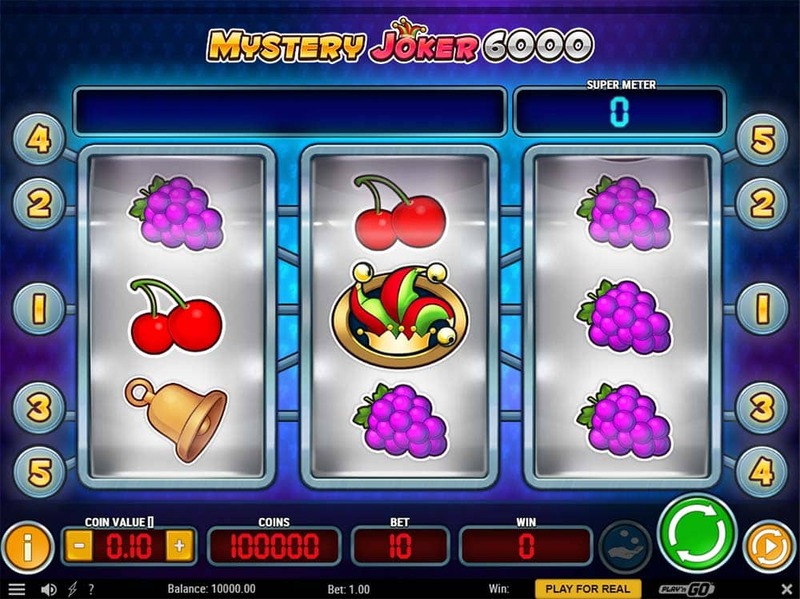 Rizk Casino has just added the final slot release for 2017 from Play’n GO to their casino, titled Mystery Joker 6000 this is the natural successor to the popular classic style machine Mystery Joker slot. 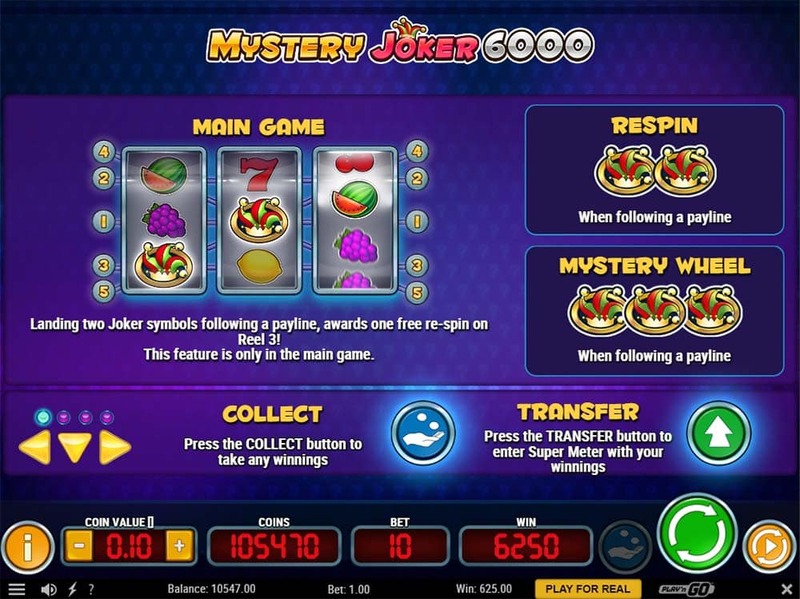 The new 6000 version maintains the classic gameplay style found in the original slot along with a Mystery Wheel feature that is triggered in the base game with 3 of the Joker symbols along with a special “re-spin feature” when just 2 Jokers lands on the reels. 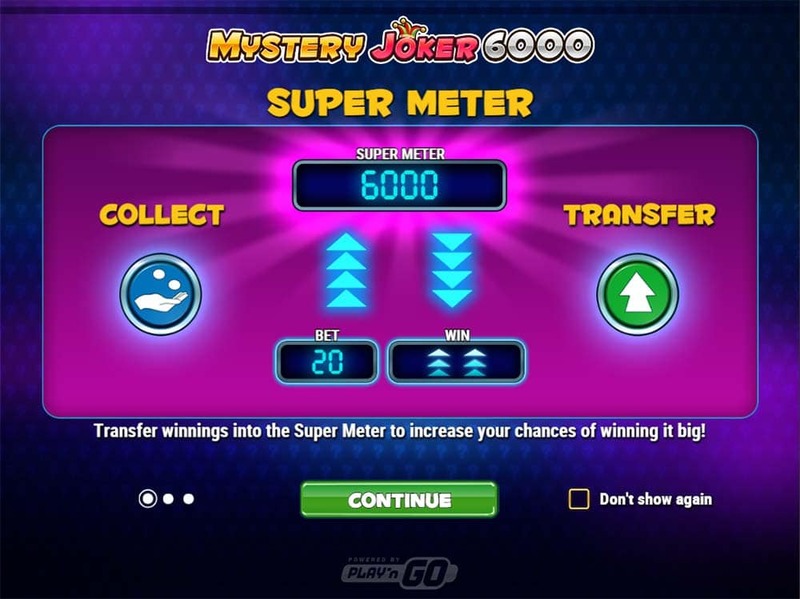 The Super Meter function is retained allowing players to transfer their winnings from the base game into the special Super Meter Mode, when Super Mode is activated the cost per spin is doubled but the chances of landing wins are increased hugely, Double Jokers, and hitting the Mystery wheel are much more common. 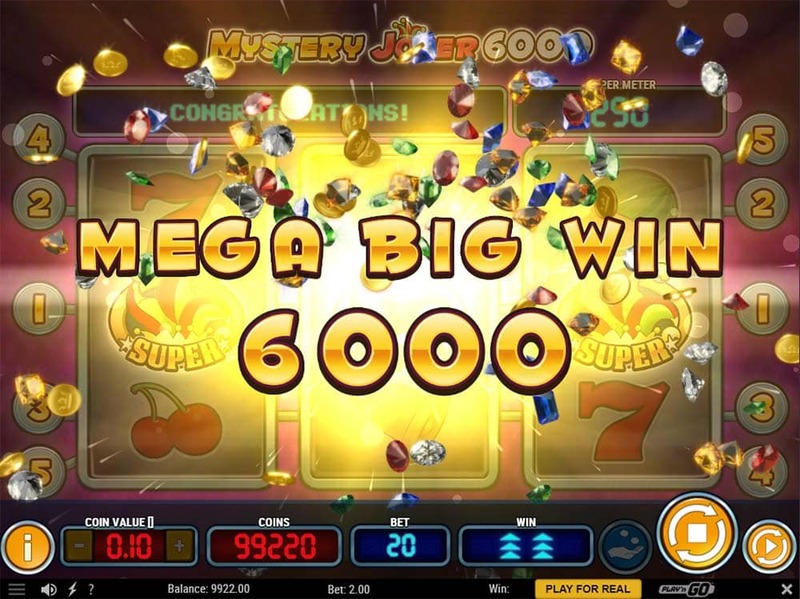 Importantly in Super Meter mode the slots RTP is over 100% which is why you if you decide to play this slot you really should be aiming for that Jackpot of 3 Jokers on a pay line which awards 6000 times your current bet per line (£1 total bet would result in a £600 win). If you are new to this kind of classic slot then definitely check this out first in play mode, as you need to transfer your base game winnings into the Super Meter rather than simply collecting to really get the best out of this slot, there are a couple of new settings options that includes an “Auto Transfer into Super Meter” option that is definitely worth looking at if autoplay is your thing. 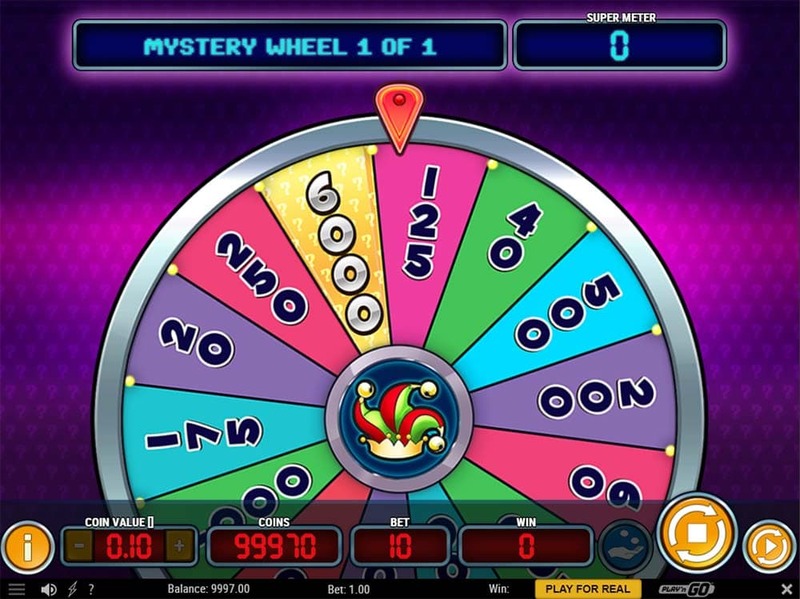 The real aim of this game should you decide to check it out is to hit the 3 Jokers on a payline of hit the 6000 reward from the mystery wheel, both of these are much more likely to come from the Super Meter Mode. 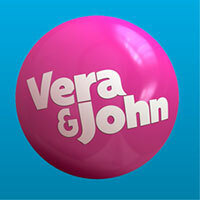 Re-Spin Feature – Land 2 Jokers on a payline in the base game to grant 1 re-spin for the chance of landing the 3rd. Super Meter Mode – Transfer your base game winnings into the Super Meter – Doubled cost per spin but with much higher chance of hitting more wins and bigger wins. 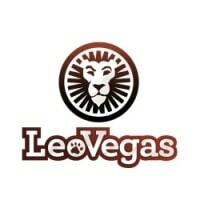 Mystery Wheel feature – Land 3 Jokers on the reels in the base game, or just 2 in Super Meter Mode to trigger a spin of the bonus wheel with prizes up to 6000 coins per bet line. 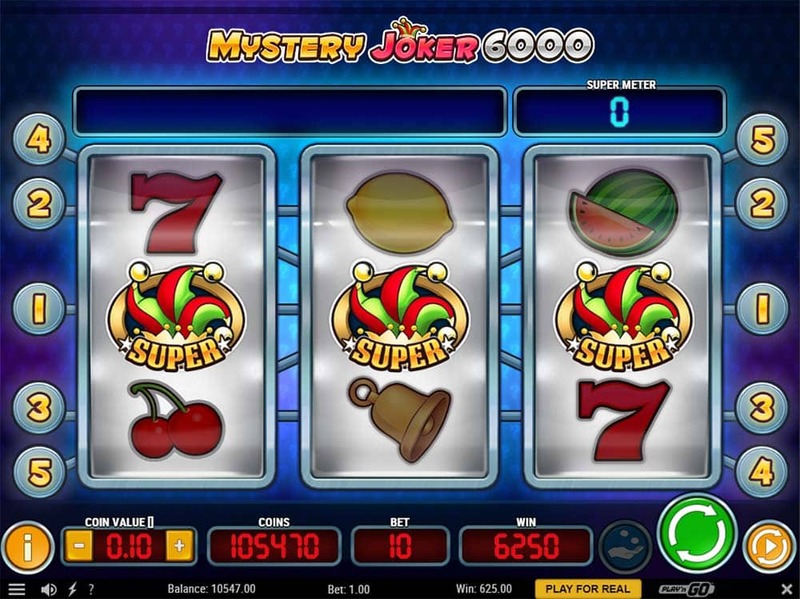 The Mystery Joker 6000 slot is all you would expect from this kind of slot with a very simplistic but potentially very rewarding gameplay design. 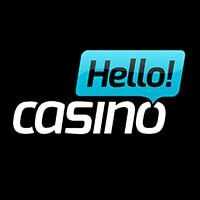 This new version is likely to appeal to fans of the previous Joker version as well as players who like fast playing and simple 3-reel slot games. The new bonus features do seem to work quite well, and if you manage to get a good run of wins in Super Meter mode this slot suddenly becomes very exciting to play, do you collect? or keep trying for 6000 wins!